After several years in the airline industry, Clayton decided to act on his passion for the law, undertaking a Bachelor of Laws at Murdoch University and graduating in 2017. Whilst completing his degree, Clayton gained invaluable practical experience working in various legal practices including as a Barrister’s Clerk under Jonathan Davies at Albert Wolff Chambers. Clayton is passionate about criminal and family law. He believes that everyone in the community should have access to justice regardless of their situation. Clayton takes a strong ‘client first’ approach gained from many years working in customer facing roles for major airlines and believes building strong relationships with his clients is an essential element in providing top-level legal representation. 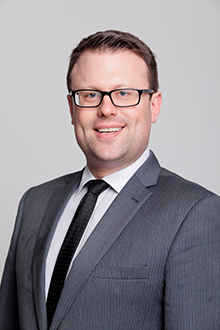 Clayton works primarily in the area of criminal law and currently serves on the committee of the Criminal Lawyers’ Association of WA.